The Royal Philharmonic Orchestra’s film music extravaganza is back! Step inside the breathtaking surroundings of the iconic Royal Albert Hall and let the symphonic sounds of the ever-sensational RPO transport you to the exhilarating world of the silver screen. Hear your all-time favourite themes from your all-time favourite films in this this spectacular celebration of some of the greatest soundtracks ever written, perfect for movie fans of all ages. Simply unmissable! Remember that stirring moment when The Kingdom Choir sang ‘Stand by Me’ in front of two billion people at Prince Harry and Meghan Markle’s wedding? Fans of their moving performance in St George’s Chapel will soon be able to listen to the Gospel group sing Ben E. King’s iconic song live. The singers have announced dates for a U.K. tour next year, starting with Sheffield on 30 April. After stops in Southend, Leicester, Manchester and more, the choir will play a special concert at the Royal Albert Hall on 19 May to mark the royal couple’s first wedding anniversary. As for the set list, the audience can expect to hear tracks from the group’s debut album, due for release on 26 October. Titled Stand By Me, it will include renditions of classics including ‘Amazing Grace,’ John Legend’s ‘All Of Me’ and Coldplay’s ‘Fix You’. It’s safe to say The Kingdom Choir singers, led by conductor Karen Gibson, have come a long way since they got together in London back in 1994. Academy Award®-nominated, Golden Globe- and Tony Award-winning performer, Hugh Jackman, has announced his first world tour. The Man. The Music. The Show. 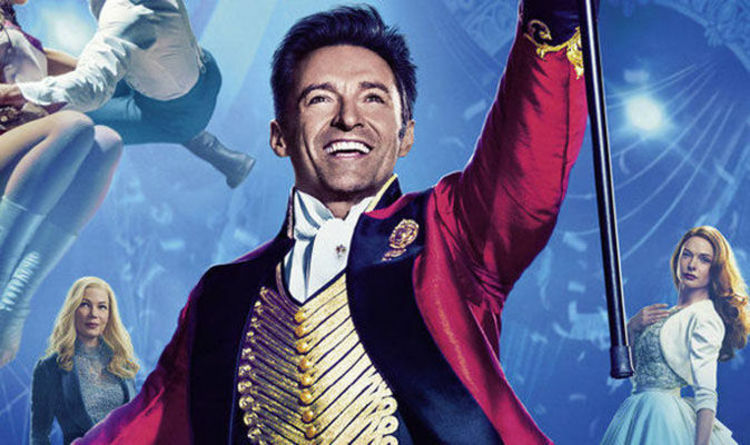 will see Jackman performing hit songs from The Greatest Showman, Les Misérables and more from Broadway and film, accompanied by a live orchestra. The band first shot to recognition with their breakout hit I Predict A Riot, followed by smash hits such as Oh My God, Everyday I Love You Less and Less, Modern Way, and the #1 single Ruby. Tickets (Premier Enclosure) & travel £72. With 103 album releases, 123 single hits and the equivalent of 20 years spent in the UK charts, voted Britain’s ‘Ultimate Pop Star’, Sir Cliff Richard will be returning in 2019 with a UK tour . Sir Cliff made his debut at the Royal Albert Hall in 1959, and has appeared at over 100 occasions there since, including representing the nation at the Eurovision Song Contest in 1968! Two Band Aid appearances, an entry in the Guinness Book of World Records as the most successful female band worldwide with the most charting singles, many of which were international hits.To date the duo have had 32 Top 40 UK hits, have released 10 albums and sold 30 million records! Back by demand – a celebration of Queen’s greatest hits! The Royal Philharmonic Orchestra (RPO) presents a thrilling tribute to the iconic rock band Queen, with an unforgettable evening of anthems that will truly rock you, all accompanied by a spectacular light show. Celebrate almost 50 years of this great British institution with a host of seminal hits, each given a sensational symphonic twist. Hear: We Will Rock You, Crazy Little Thing Called Love, Don’t Stop Me Now, Another One Bites the Dust, Bohemian Rhapsody, It’s A Kinda Magic, Flash, I Want to Break Free, Under Pressure, Somebody to Love, The Show Must Go On, We are the Champions… and many more! With album sales exceeding 80 million, he has captured the hearts of fans across the globe as the singular, superb voice that opera had been waiting for. Bocelli’s legendary status was confirmed when he was honoured with a star on the Hollywood Walk of Fame for his contribution to Live Theater. Bocelli released his 14th studio album, ‘Passione’, featuring duets with the likes of Jennifer Lopez and Nelly Furtado, in 2013. His latest album, ‘Cinema’, was released in 2015, was supported with the world Cinema Tour in 2016. Bocelli returns for a handful more UK shows in 2018, before another batch of shows in October 2019. IC Travel have a special rate of just £125 including return coach travel from Norwich area. Route via Taverham, Thickthorn, Wymondham & Attleborough. Hit songs from the most sensational shows of our time. Join a host of West End stars for a dazzling evening of glitz and glamour! Featuring highlights from: THE PHANTOM OF THE OPERA, CHICAGO, LES MISÉRABLES, WE WILL ROCK YOU, CATS, MAMMA MIA!, STRICTLY BALLROOM, THE LION KING, WICKED, MARY POPPINS, DREAMGIRLS, EVITA, JERSEY BOYS… and many more! Plus a Special Guest Presenter! For 16 weeks only, Cameron Mackintosh‘s production of Boublil and Schönberg’s LES MISÉRABLES will star Michael Ball (Javert), Alfie Boe (Jean Valjean), Carrie Hope Fletcher (Fantine) and Matt Lucas (Thénardier) in a spectacular and intimate staging of the legendary concert previously seen in London at the Royal Albert Hall and The O2. Katy Secombe also joins to play Madame Thénardier. Featuring the songs I Dreamed A Dream, Bring Him Home, One Day More and On My Own – this all-star staged concert is not to be missed. IC Travel have run this trip twice every year and is one of the most popular trips we do with coach travel all the way to the famous Royal Albert Hall. A nostalgic celebration of much-loved songs and duets from the classic musicals of the golden age of Hollywood! Featuring the ever-popular music of Rodgers & Hammerstein, Cole Porter, George Gershwin, Irving Berlin, Lerner & Loewe, Leonard Bernstein and much more! My Fair Lady, The Wizard Of Oz, The Sound Of Music, Guys & Dolls, The King & I, Hello Dolly!, On The Town, Calamity Jane, Top Hat, Gentlemen Prefer Blondes, High Society, West Side Story… and many more!